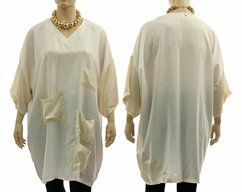 An unique fancy boho tunic dress - airy and lightweight, semi-sheer, made of linen gauze. 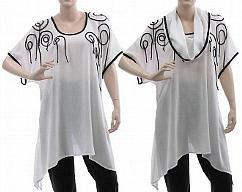 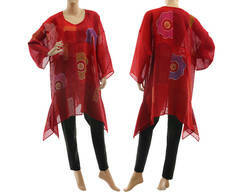 This asymmetrical tunic has a wide shape and 3/4 long sleeves. 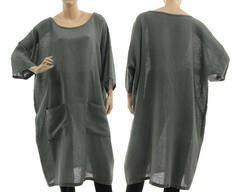 Very cute, flattering - with a side slit - a real eye-catcher. 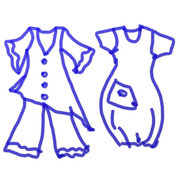 You will find a matching silk slip dress in my shop. 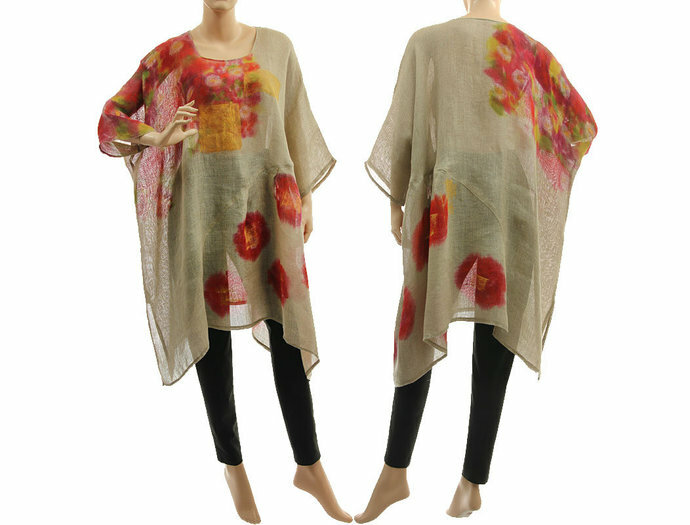 Elaborate and carefully crafted, hand-painted in a modern-abstract style.